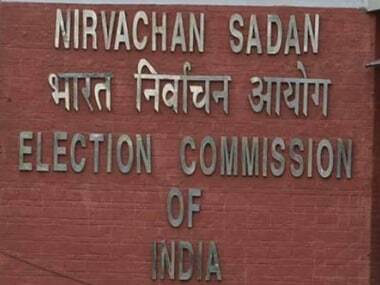 As the first phase of voting got underway on Thursday in the Lok Sabha election, one of the most important processes for the Election Commission of India is to ensure that there is no fraudulent voting or multiple voting. This is done through the use of indelible ink. 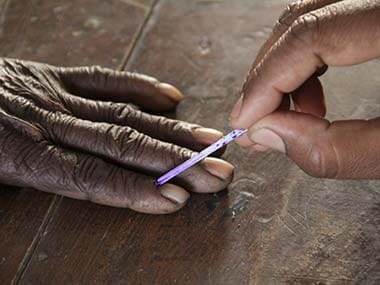 Also known as voter's ink, purple ink is applied on the left-hand index finger of the voter by the second Polling Officer in a polling booth. Once applied, the ink cannot be removed by any chemical, detergent, soap or oil for several months. 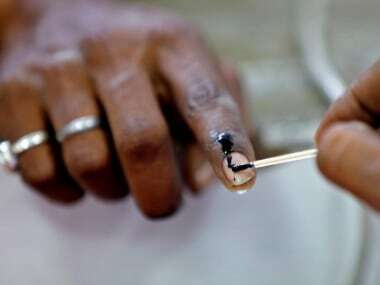 The ink is used in all elections across the country, including the ongoing Lok Sabha polls. In fact, for this General Election, the Election Commission ordered 26 lakh bottles of indelible ink ahead of polling at the cost of Rs 33 crore. 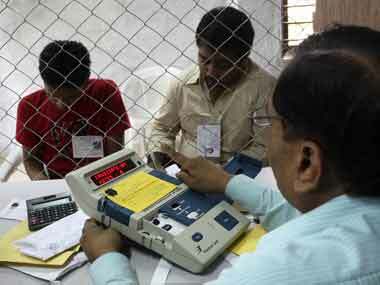 In 2014, the election panel bought 21.5 lakh phials — 4.5 lakh fewer than this year's purchase. Mysore Paints and Varnish Limited, a Karnataka government undertaking, is the only authorised manufacturer of the ink. Nearly 90 crore people are eligible to vote in this election, and the bottles will be distributed to nearly 10 lakh polling stations across the country. In 1962, the Election Commission, in collaboration with the law ministry, National Physical Laboratory and National Research Development Corporation, had made an agreement with Mysore Paints for the supply of indelible ink for the Lok Sabha and Assembly elections. Since then, it has been supplying the ink for all elections in India. The company was established by then-Maharaja of Mysore, Nalwadi Krishnaraja Wodeyar in 1937 to increase local employment. Since then, the company also manufactures seal wax and supplies paint for war tanks to the defence ministry, according to Business Insider. Soon after demonetisation, the company was asked to provide indelible ink to banks to mark customers exchanging defunct currency notes to check suspicious deposits. Grappling with unending queues and frayed tempers in banks and to check operation of syndicates after the note ban, the government had introduced the system of marking customers exchanging defunct currency notes with indelible ink. What is its chemical composition? As per Deccan Herald, one of the components of the ink is silver nitrate, whose concentration varies from seven to 25 percent. It stains the skin on exposure to ultraviolet light, thus preventing the mark from being washed off. It can only fade over time as new skin cells replace the dead ones. 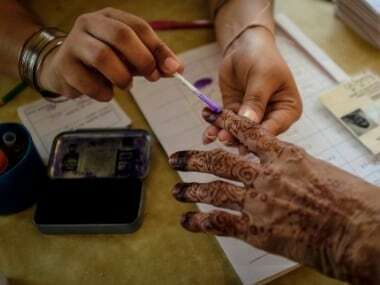 1Lok Sabha Election 2019: What is indelible ink? Why is it used in polls and who manufactures it?